Juxon House Business Centre is an eye-catching building and is located in close proximity to the tube station. 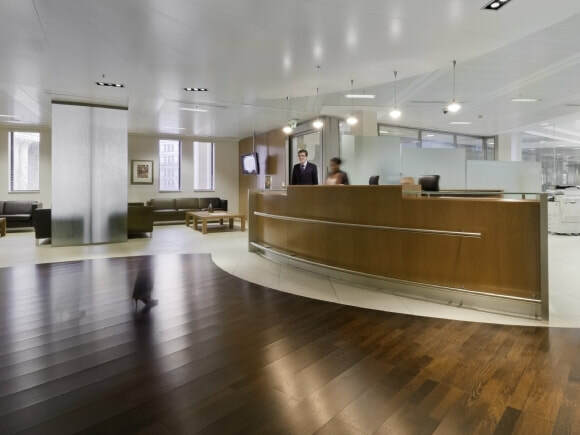 With a stunning and spacious reception with wooden flooring, a professionally staffed main desk can meet and seat clients in the comfortable lounge area adjacent. Fitted out to an extremely high standard, the interior is complemented by stylish furnishings throughout with no expenses spared. Large and small meeting facilities are on-site to hire and are equipped with AV equipment, white boards and refreshments. The serviced offices come in all sorts of shapes and sizes and can be let on negotiable term agreements to suit a company’s business plan. Inclusive in the monthly rent is office furniture with workstations and digital telephone handsets per person. Office suites also have IT point access, which connects directly to broadband and telephone lines. With lounge areas for communal use, this office rental has a numerous features such as office cleaning, shower facilities and specialised call-handling services.